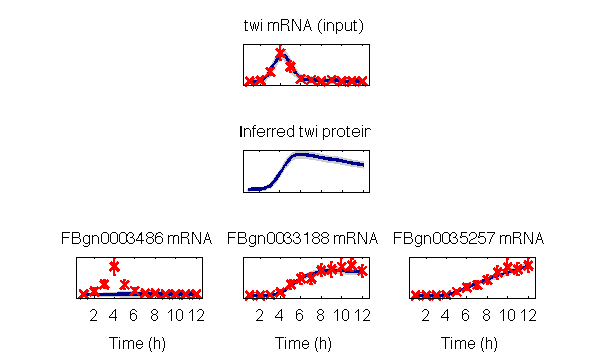 Gene target ranking by driven input single input motif Matlab code. 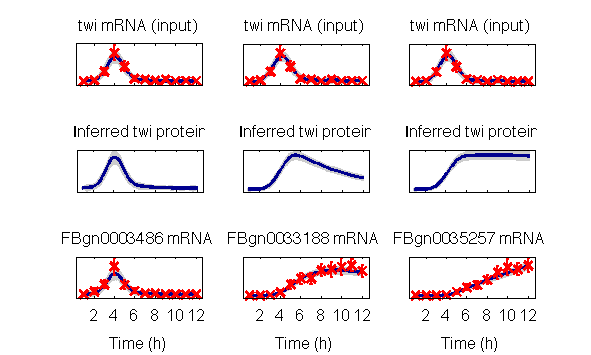 This page contains a MATLAB implementation of the transcription factor target ranking methodology based on Gaussian process differential equation models. An R implementation of the same methods is available from the authors upon request. This package was created by Antti Honkela. As well as downloading the DISIMRANK software you need to obtain the toolboxes specified below. These can be downloaded using the same password you get from registering for the DISIMRANK software. This version includes scripts used to run the experiments in the PNAS paper. The PNAS experiments depend on a Drosophila data set (35 MB), which includes a pre-processed version of the developmental expression time series data of Tomancak et al. as well as various validation data sets. We thank Dr. Tomancak for the kind permission to redistribute the data. In order to run the demos, you need the above Drosophila data set. The command drosLoadData (also used internally by many of the scripts) will attempt to load it from the current working directory and its subdirectory data.